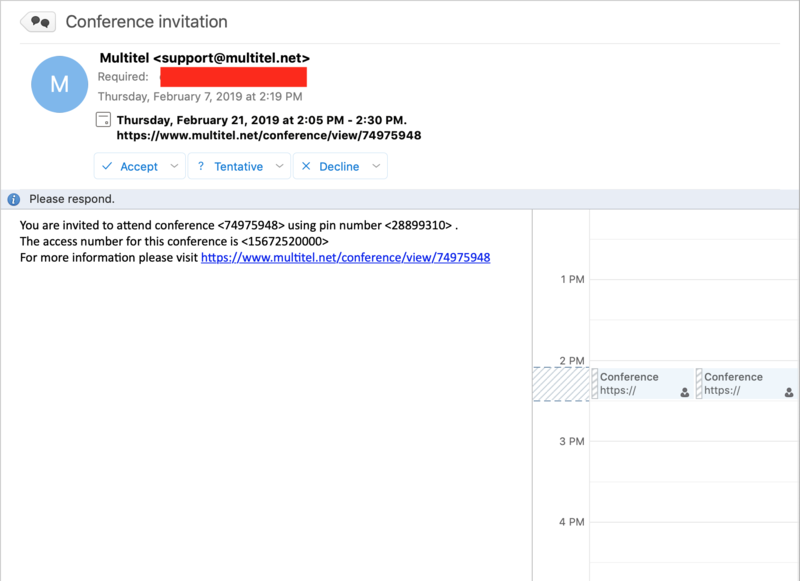 This article will explain how to create a conference. Next, click on the "Create" button. You will have to set up some values - pay attention to "Access Number" , "Start Time" and "End Time" . Don't click "Submit" just yet . 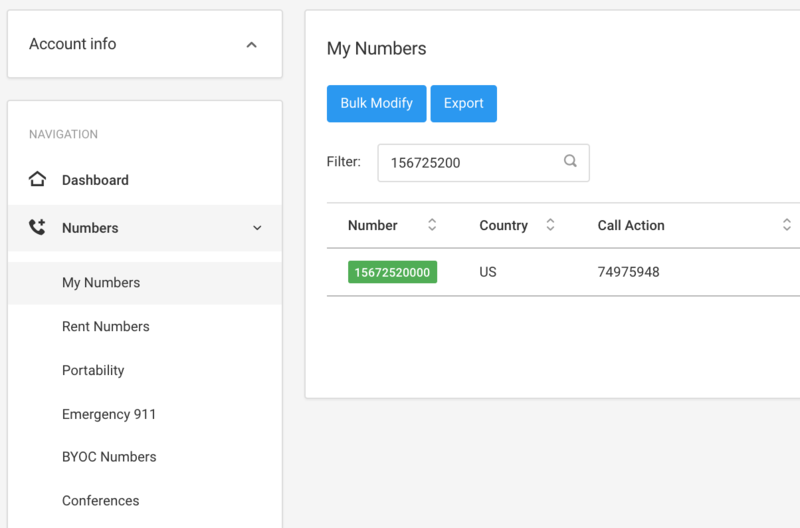 Note that "Access Number" refers to a number that you will find in your account , under Numbers / Inventory. For this example, where we are using "15672520000" , you will see the original number settings below. For our example, "Call Action" is empty. 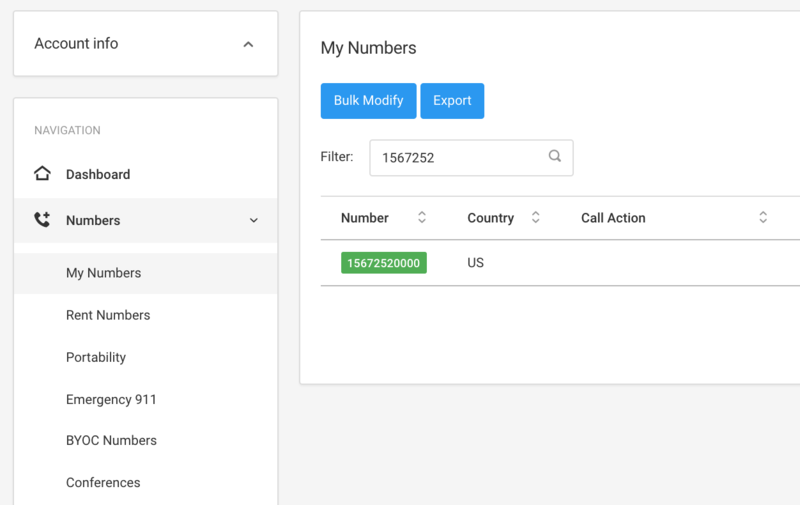 For your own numbers, "Call Action" might be a SIP URI, or a Hosted PBX. This will get changed. We'll get back to this soon. All these participants will be sent an email invitation. 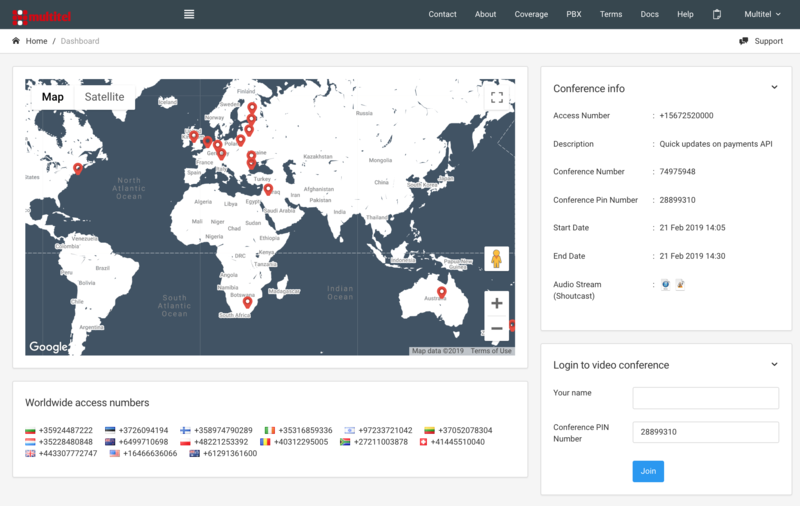 International callers can ring into your conference using these numbers. That's about it. Note that you won't be able to modify the attendants list once the conference invitation went out. 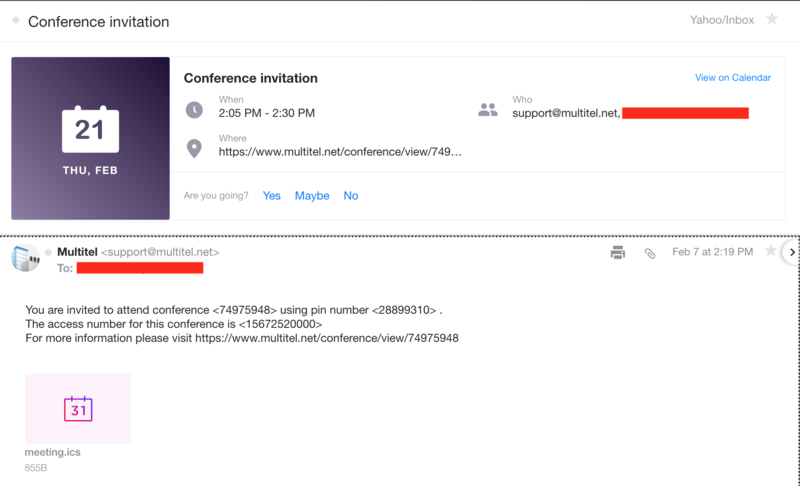 You should probably create a new conference and re-invite the participants / adding/deleting participants as needed. Now, if you had the patience to read so far, let's check out the number that is used as access number. Note how the "Call Action" has changed? 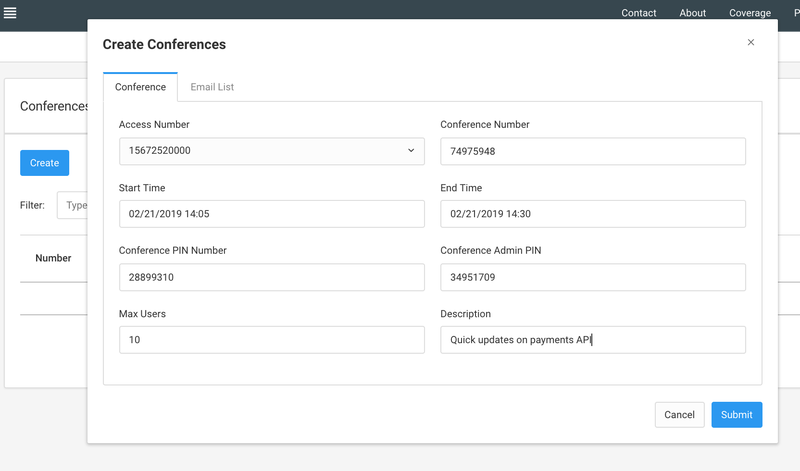 Please be aware that if you were using your phone number for something else, assigning it to a conference will overwrite the previous config.